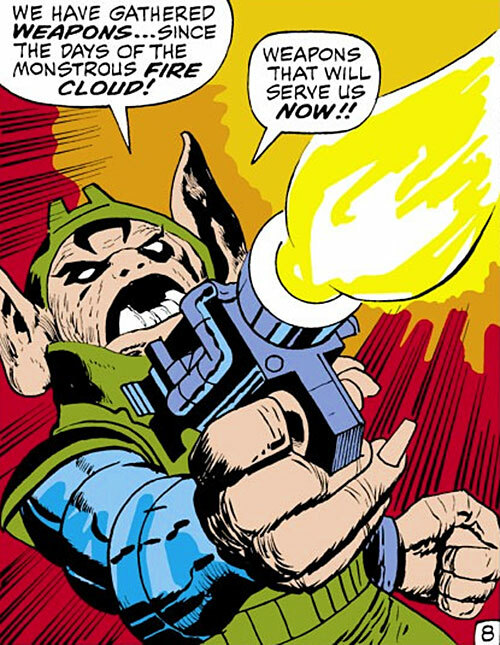 These fellers first appeared in a 1969 Thor story about Him (later Adam Warlock). Mutates are superhumanly strong and savage. For some reason, they speak fluent modern English. Mutates have inherited the Earth in a possible future. This timeline through at least two atomic wars. Despite the opposition of scientists, nuclear bombardment continued. And as predicted, it turned some humans into a new race. 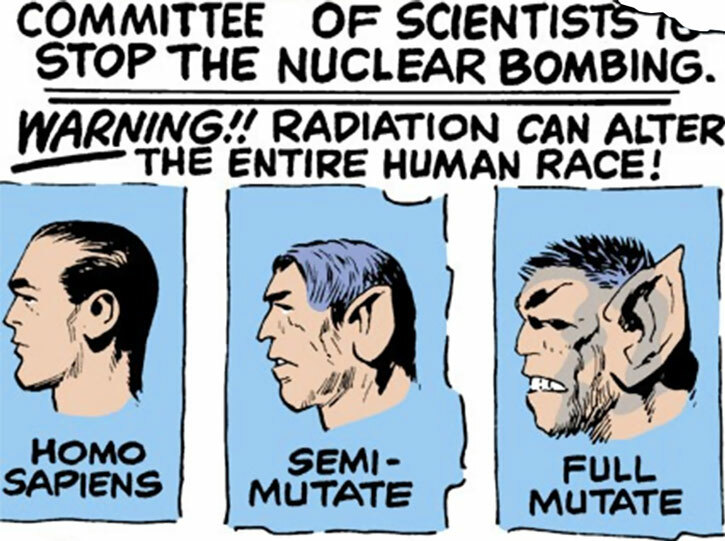 First there were semi-mutates, then full mutates. The mutates apparently exterminated the humans. Since they mentioned that humans did not fight back, it is possible that all soldiers, exposed to nuclear radiation, died or turned mutate, leaving only defenseless civilians. This possible future was found of interest by the Greek underworld god, Hades (aka Pluto). Hades used mutates as his shock troops twice. In the first case, he brought the Atomic Research Center from Manhattan to the mutates’ future. Then they travelled back through time to attack 20th century New York City. 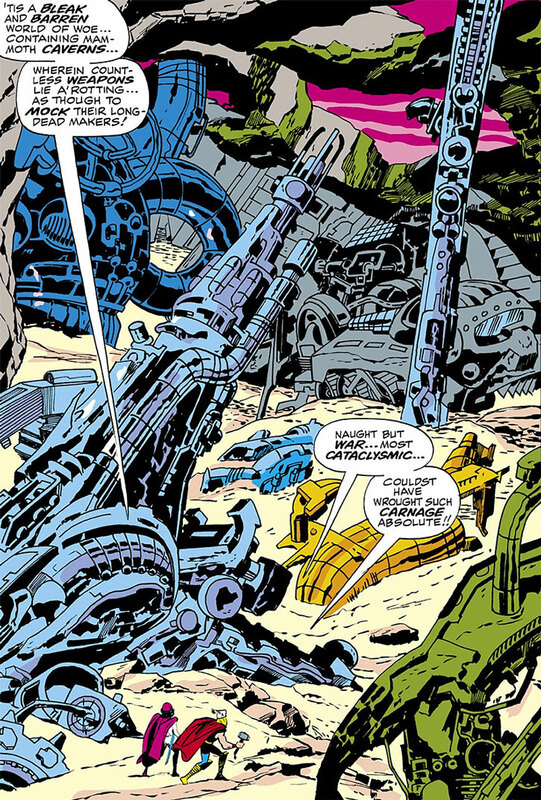 They ran straight into Thor, Balder, Sif, and elite American forces. Eventually Zeus defeated Hades. The second time, a force of mutates was sent by Hades to the UCLA campus to locate Aphrodite. She was then living as a mortal teacher. 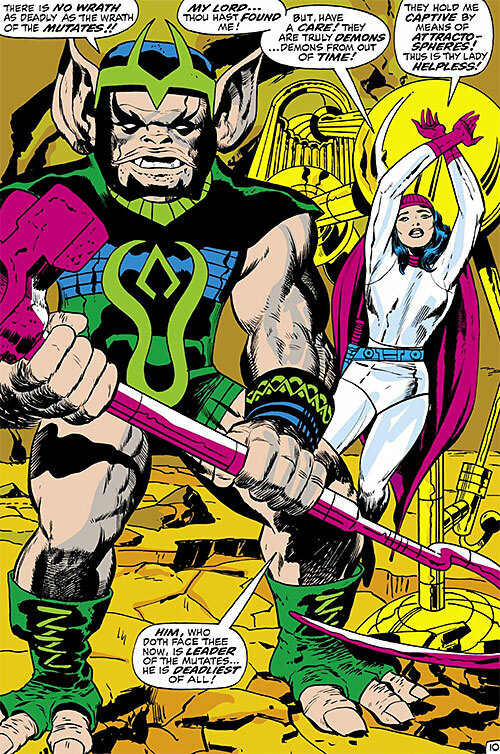 The mutates were defeated by Hercules and Aphrodite. The atomic mutates have a rag-tag assortment of weapons, ranging from home-made melee weapons to salvaged military hardware from the Atomic War. Melee weapons [BODY 08, EV 04 (08 w/STR)]. Sample energy pistol [BODY 05, Energy blast: 08, R#05]. ATTRACTO-SPHERES (x3) [BODY 14 STR 14 — the STR can only be used to keep its victim captive. A Kirbyesque device that can hold even a superhumanly strong person helplessly captive]. The device has a “remote” [BODY 05, Attraction/repulsion: 13, Limitation: Can only Repulse into the nearest Attracto-Spheres, Bonus: Attraction/Repulsion is its own AV] that will throw an opponent into the waiting spheres. Top-of-the-line Energy Rifle [BODY 04, Energy blast: 13, R#04]. Heat Bazooka [BODY 04, Flame project: 12, Note: Affects 24 APs of Volume, Ammo: 06, R#04]. And tons of other, often weird, weapons. As a dice action, all the mutates who can rush the target within that Phase can add their STR to perform a Wrestling or a Submission Hold manoeuvre. This is AP maths, with a upper limit of +3CS above the highest STR. 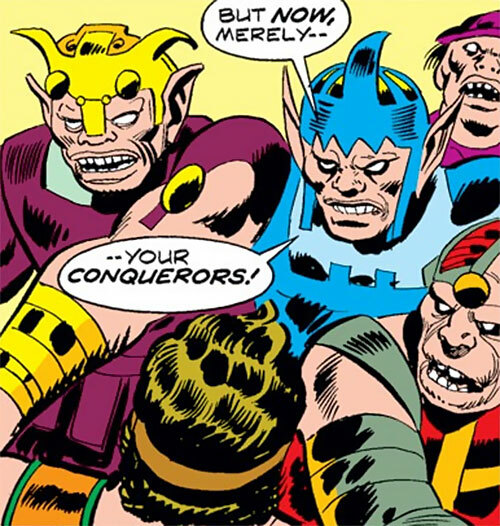 The mutates (or perhaps just this tribe of mutates) are led by a chief who is the strongest and deadliest of them all. Lightning Reflexes, Schtick (Tripping attack). 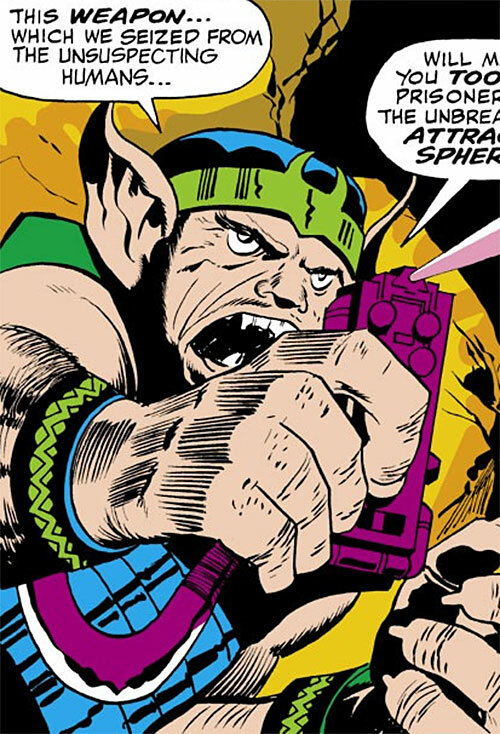 The chief had access to all of the weapons the mutates did (and was the one holding the “remote” for the Attracto-Spheres), but he favoured his custom weapon. This is a stout staff with a warhammer on one end, and a hook on the other – the latter being used to trip opponents by hooking their ankle. Chief’s Staff [BODY 12, EV 05 (12 w/STR), +1CS to Block melee attacks, can execute tripping attacks]. This weapon was damaged, perhaps even destroyed, by Hercules. But he might have others. The Schtick (tripping attack), along with an appropriate weapon, can allow the fighter to attempt a trip attack a a Dice Action. This pits his Weaponry/STR against the DEX/DEX of the opponent. Any RAPs are subtracted from both the OV and the RV of the opponent during the next Phase. 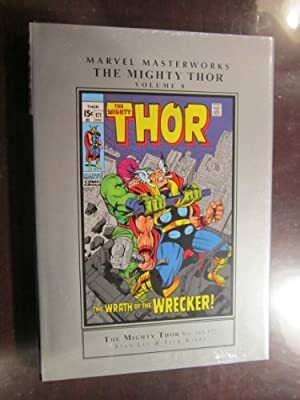 Source of Character: Thor v1 #163 and Champions #1.